Michael Mooney, chairman of Nutter, focuses his practice on tax and business, representing corporations, partnerships and limited liability companies in a broad array of domestic and international tax and business transactions, including complex business combinations and divestitures. Michael also works frequently with businesses to reorganize into more tax-efficient structures and achieve intergenerational transfers at minimal tax cost. Michael also handles tax controversies before the Internal Revenue Service and state tax authorities. Michael is a Fellow of the American College of Tax Counsel, a member of the Boston Tax Forum, and a member of the Board of Editors of Accounting and Financial Planning for Law Firms. He served as vice president, executive director and member of the Board of Directors of the Federal Tax Institute of New England Inc. from 1989 to 2011. He writes and speaks frequently on topics related to taxation and executive compensation. Active in many business, civic and charitable organizations in Greater Boston, Michael is a director of Jobs for Massachusetts, an executive leadership organization of CEO’s from prominent Boston businesses, a trustee of Lesley University, a director of the Lincoln and Therese Filene Foundation, a director of A Better City, Inc., where he served as chair of the Board from 2006-2010, and a former director of Music Lives. He is also a director of the United Way of Massachusetts Bay and Merrimack Valley, where he was the founding co-chair of the United Way Lawyers Leadership Breakfast and currently serves as a member of the organization’s Legal Advisory Council. Michael is a member of the Board of Overseers of the New England Aquarium, a member of the Business Advisory Council of Boston College Law School, and a member of the Chief Executives Club of Boston. Michael is a member and vice chair of the Boston Green Ribbon Commission, a Commission formed to convene leaders from Boston’s key sectors to support the outcomes of the city’s Climate Action Plan. 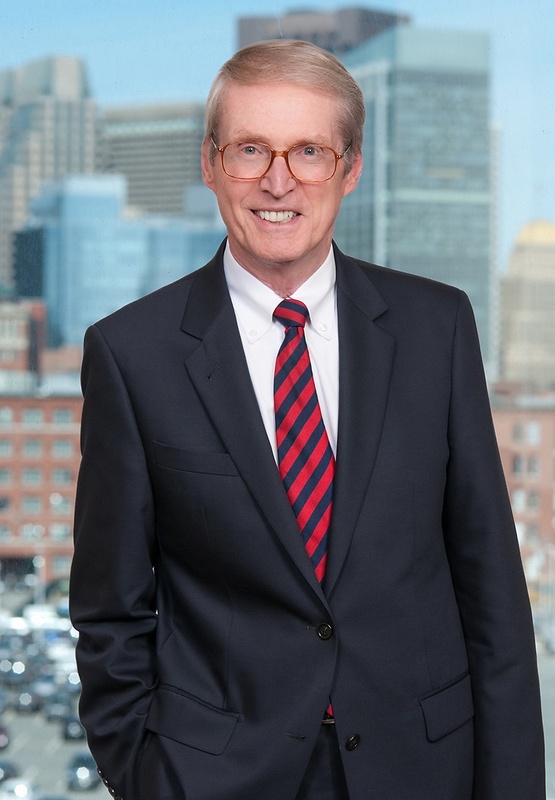 He has served as legal counsel to the USS Constitution Bicentennial Salute, Inc. and currently serves as legal counsel to and Clerk of Sail Boston, Inc. For more than ten years Michael served as a co-chair of the Inner-City Scholarship Fund Annual Dinner, sponsored by Catholic Charities. He is the founding chairman of the Boston Bar Association Summer Jobs Program, served as chair of the 2003 Law Day Dinner Steering Committee and as co-chair of the Association’s 2008 Diversity and Leadership Task Force, and currently is serving as co-chair of the Boston Bar Foundation Society of Fellows. Nutter represented PeoplesBancorp, MHC, the holding company for PeoplesBank, in the private placement of $40 million in fixed-to-floating rate subordinated notes due 2028. Negotiating and preparing an international strategic partnering agreement between a U.S. technology company and a French manufacturer allowing the two to share new developments and achieve greater manufacturing and distribution efficiencies throughout the world. Representing management in an MBO of an investment management company with a view to minimizing the tax impact on management and the selling owners. Leveraging the buyout of multiple real estate properties through a new partnership vehicle combining tax efficiencies with intergenerational tax planning. Representing numerous chief executive officers in the negotiation of their employments agreements and sometimes separation agreements. Representing top management of a financial institution in connection with its acquisition by another financial institution. Designing and drafting complex equity compensation arrangements for a broad array of corporations, LLC’s and banks. Designing and implementing a tax efficient business structure for an emerging pharmaceutical company engaged in cancer research. Working with an emerging company and a major foreign investor in the company to create the most tax efficient structure for each. Designing a “spin-off” of valuable technology by a life sciences company. Representing taxpayers in controversies with the Massachusetts Department of Revenue concerning their domicile and state of residence for income tax purposes. Representing a taxpayer in a federal controversy over a conservation easement charitable deduction. Handling appeals to the IRS Appeals Office regarding proposed federal income tax deficiencies following audits. Representing sellers and buyers in the sale and/or purchase of their businesses. Active in many business, civic and charitable organizations, Michael is a director for Jobs for Massachusetts, a trustee of Lesley University, a director of the Lincoln and Therese Filene Foundation, and a director of A Better City, Inc.